Weber is a leading brand in the barbeque market with a stunning range of BBQs to choose from, from portable 37cm Smokey Joe's to 67cm barbeques for those bigger occasions. One of the most popular sizes of Weber barbeque is 57cm. 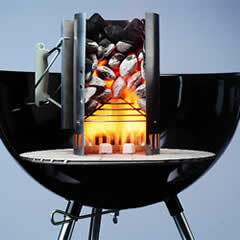 57cm barbeques are small enough for regular home use but large enough to satisfy a large party of hungry people. 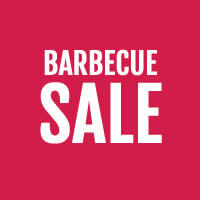 Weber's range of 57cm barbeques is made up of the Weber Compact, Weber One- Touch Original, and Weber One- Touch Premium. Today, we will be comparing each barbeque to see which is best for you. The Weber 57cm Compact Barbecue is one of Weber's entry-level barbeques, but don't for one second believe that it compromises on quality to achieve a low price tag. This is one of Weber's most popular barbeques thanks to a number of thoughtful features. 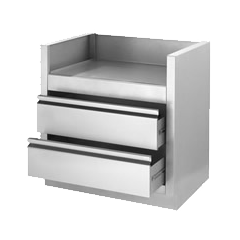 The Compact barbeque is designed for cooks who need to conserve space. As such, it's specifically designed with a shallow bowl and lid compared to a traditional barbeque, and this allows it to be more portable. Because this barbeque is shallow, it's ideal for your typical BBQ - grilled sausages, burgers, and chops. It won't be the best barbeque for roasting however because of its shallow lid. So, if you want to be able to test out your roasting and baking techniques, consider the barbeques below. Overall: The Weber 57cm Compact Barbecue is perfect for small spaces or as a secondary barbeque. The Weber 57cm One-Touch Original is considered to be the next step up in Weber's charcoal barbeque range. This is a full-size barbeque with a deep bowl and lid, allowing for a wide variety of different cooking techniques. On top of offering better air circulation over the Compact and ultimately a wider variety of cooking, the One-Touch Original has a neat lid thermometer which is ideal for baking or other types of cooking that a consistent temperature is required. To increase or reduce the temperature, you simply toggle the vents. The name One- Touch was chosen because of a unique feature to Weber's latest BBQs - the ability to sweep clean charcoal and ashes by simply moving a lever. All ashes and other waste is collected in the bottom of the ash catcher for easy cleaning. Overall: This is an all-in-one barbeque ideal as a main barbeque thanks to a deep bowl. 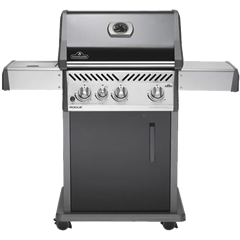 The Weber 57cm One-Touch Premium is Weber's range-topper in the charcoal barbeque market. The Premium builds on all of the Original's features with a larger ash catching pan, an additional side handle, and side handle hooks for all of your barbeque utensils. The One- Touch Premium also has a triple-plated hinged cooking grate that makes it super easy to add more coals, wood chippings, or other fuel sources to your barbeque. 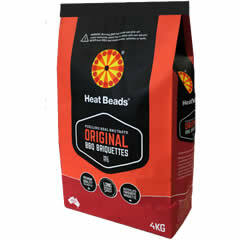 This is something which many barbeques do not offer and it makes a big difference in everyday usability. The Premium also has crack-proof all-weather wheels and a thermometer in the lid, and like the Compact and Original, the Premium has no-rust aluminium air vents and a porcelain enamel bowl and lid for extreme durability. It's safe to say that this barbeque is built to last. Overall: This barbeque adds extra features over the Original and it's the best choice for serious cooks. The latest addition to the 57cm Weber BBQ range is the MasterTouch barbecue. Available in 4 colours Crimson, Smoke, Spring Green and Black. The MasterTouch series has all the features of the One Touch Premium with the addition of a Tuck Away Lid Holder and heavy duty Gourmet System cooking grate. The Tuck Away Lid holder enables you to slide the bbq lid down the side of the barbecue. This is not only a convenient place to store the lid but can act as a wind deflector which will help retain heat in windy conditions. The Gourmet system grate is a new addition for 2014. The grate which can be used as a standard cooking grate or by lifting out the middle section of the cooking grate, can be replaced with one of five interchangeable accessories including wok, sear grate, griddle, pizza stone or poultry roaster. These can be purchased separaty to enhance the barbecuing experience. 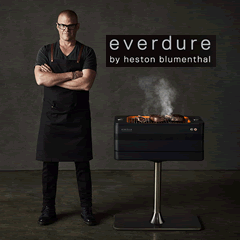 Overall: The Gourmet system cooking grate allows the bbq chef to expand the features of the grill. However the gourmet system grate can be purchased as a replacement grate and can be used on other 57cm barbecues. View our Weber Charcoal barbecue range.